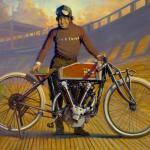 Vivian Bales is an extraordinary motolady who helped pave the way for women motorcyclists today. 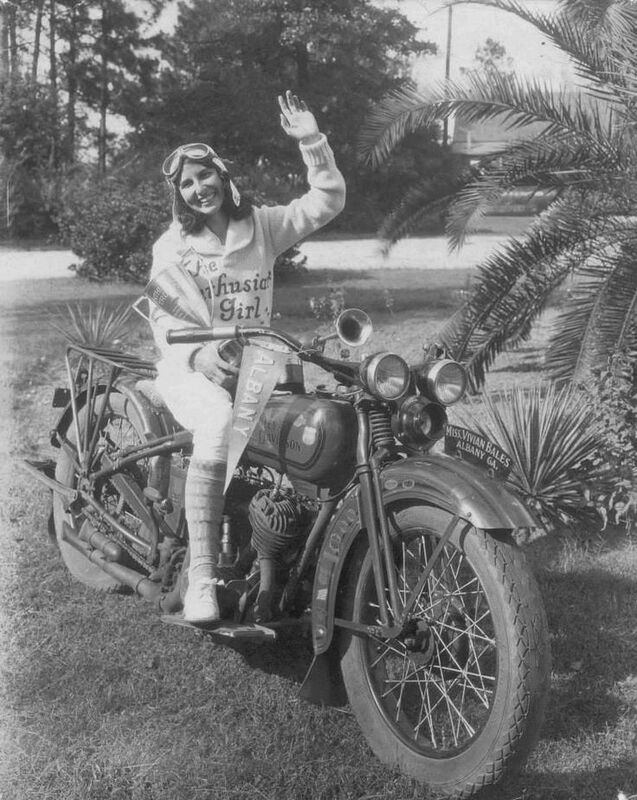 Not only was she the first motorcycle magazine cover girl, but she completed many cross-country rides on her D-series Harley Davidson. She was just 17 years old when she bought her first bike and taught herself to ride. Born in Florida in 1909, she was raised in Georgia, and eventually passed away in Albany in December of 2001. In her long life, she was a seamstress, dance instructor, and after buying her first motorcycle in 1926, she became an explorer and stunt rider. 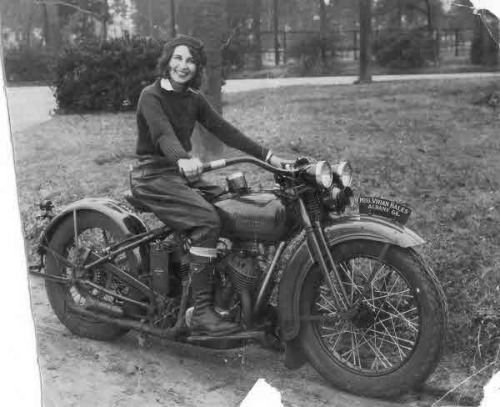 Her first bike was a HD Model B (350cc single cylinder)- but after riding for awhile, she began planning longer rides and traded up to a 1929 flathead Harley with 740 CCs. 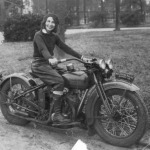 A young lady of 20 getting ready to take off on her first cross country trip ion 1929, Vivian wrote Hap Jameson at the Harley-Davidson Enthusiast Magazine to tell him of her road trip plans. 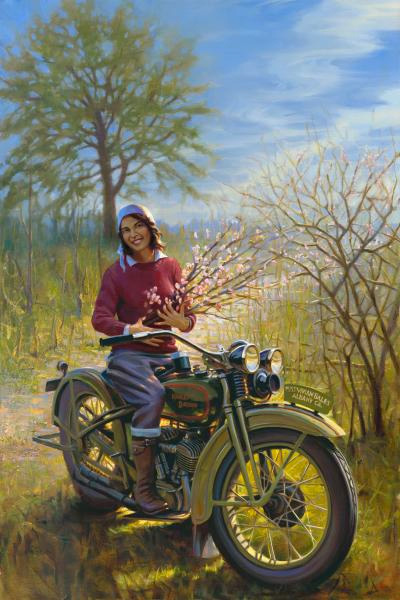 Vivian was only 5’2″ tall, weighing a mere 95 lbs, and couldn’t kickstart her own bike… but she was named the official goodwill “Enthusiast Girl” of the magazine. This opened up HD dealers across the United States up for fuel, maintenance, and even accommodations. Bales considered motorcycles to be the “key to the whole United States”, riding over 5,000 miles from Albany, Georgia, to the HD Factory in Milwaukee, Wisconsin alone on her maiden voyage. She had been riding less than three years at the time, but neither physical stature or age could stop her. 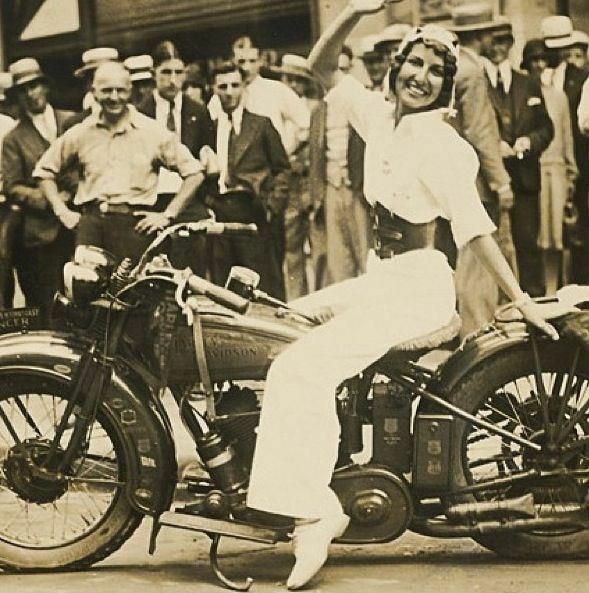 Her returning trip included riding through Canada, stops in Manhattan, the Carolinas, and Washington DC to meet President Herbert Hoover in her trademark all white riding gear with “The Enthusiast Girl” emblazoned across the chest. 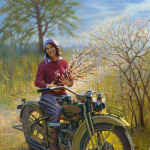 Arthur Davidson called her “The Georgia Peach”. 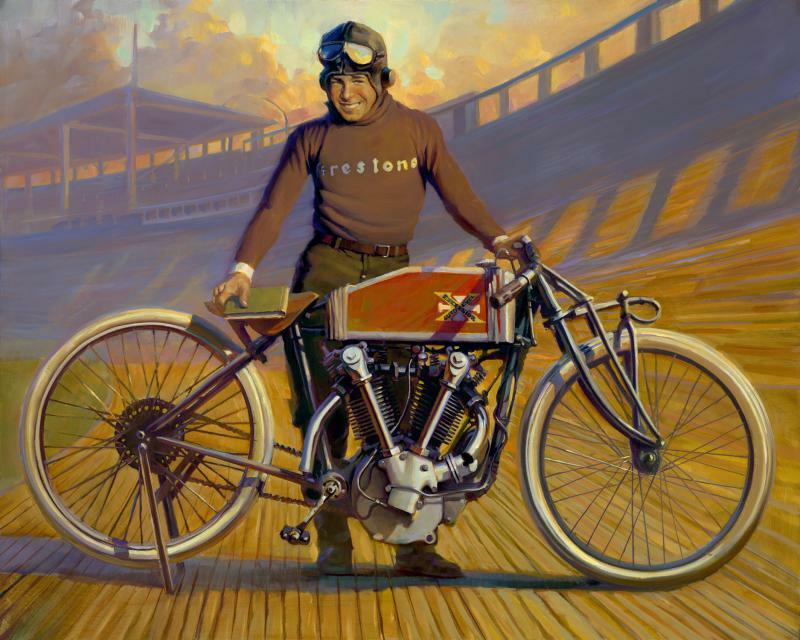 A truly amazing pioneer in the motorcycle industry. 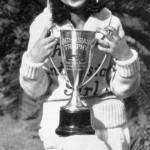 "Vivian Bales: The Enthusiast Girl"
I read the article about Vivian Bales, she must have been great to know.